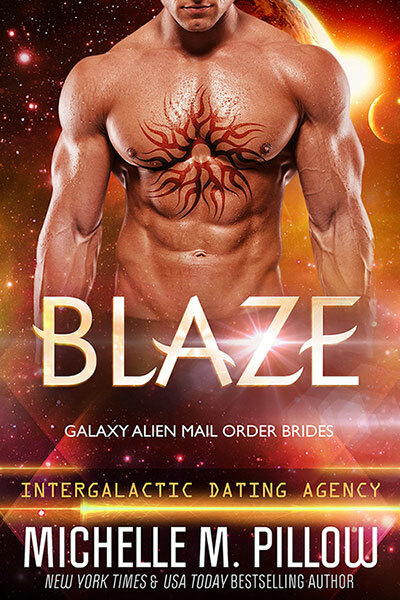 Sev (aka Blaze) isn’t looking for commitment, but there is no way in hell he’s letting his brother go to Earth to search for a woman by himself. He’s prepared to yank the idiot out of every jail house and ice cream parlor (don’t ask) if he has to. It wouldn’t be the first time. He can handle a good fight. But what this alpha isn’t prepared for was the hardheaded beauty determined to follow him home.